Back to Cain page. Back to Stith Valley main page. Material provided by Ann Carey Schmiedeler and assistance from Jean Carey-Brendle, January 2012. *** Not in 1860 census. Probably died young. J. M. GALLAGHER, merchant. Among the citizens who figured at an early day in Kansas may be mentioned the subject of this sketch. He is a native of Ireland and was born in the County of Galaway, May 9, 1815. When he was about eighteen years of age came to the United States. For a considerable length of time he was in the Province of New Brunswick, but eventually located in Louisville, Ky., where he engaged largely in the wholesale tobacco business, until the Know Nothing riots in 1855, which proved disastrous to him financially. 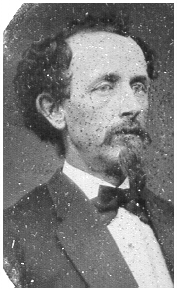 In 1856 he came to Kansas, locating in Easton, Leavenworth County. Embarked in mercantile business in connection with operating a large farm. He was the pioneer merchant of Easton and closely identified with that county until 1864, when he removed to the city of Leavenworth, where he engaged for a considerable length of time in the livery business and stock trade, and also dealt largely in city real estate. In 1873 came to Atchison County, and turned his entire attention to the cultivation of the farm; but the pursuit of agriculture was too monotonous for a man like Mr. Gallagher who had been an active business man so long, and in 1874 he engaged in the grocery and drug business in Effingham, and has been before the public the greater portion of the time since. Mr. G. is a man of excellent judgment and has been very successful in all of his undertakings. While a resident of Leavenworth County was Justice of the Peace several years, County Commissioner four years, and while a resident of the city of Leavenworth was the choice of the people as a member of the Town Board, which office he filled four years. He was married in 1842 to Miss Louisa Caine, of Louisville, Ky. By this union they have three children - James, Richard and Nellie. JAMES GALLAGHER, merchant, Monrovia. This well known gentleman is a son of the veteran Kansan, Mr. J. M. Gallagher, and was born in Brandenburg, Ky., Jan. 31, 1845. 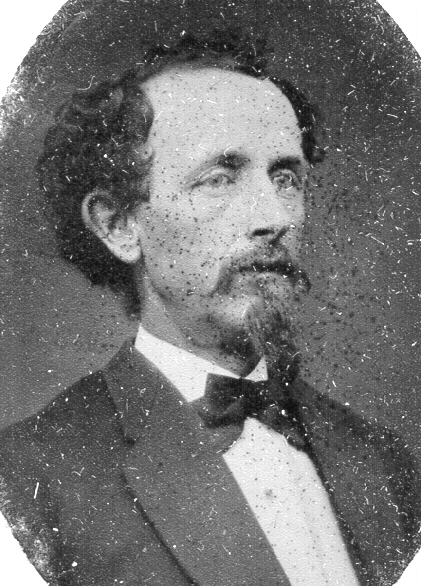 Came to Kansas with his parents in 1856, locating at Easton, Leavenworth County. He was reared and educated in Kansas. During his earlier days assisted his father in merchandising and other pursuits. In 1865 he engaged in freighting across the plains. He afterwards was installed as clerk in a large merchandise house in Leavenworth, where he remained several years. For one and one half years he sold goods for them on the line of the Kansas & Texas R. R. When that line was being constructed followed up the construction until it reached Dennison, Texas. For two years he was connected with his father in trade at Valley Falls, in 1875 embarked in trade at Monrovia. Mr. Gallagher is a man possessed of sterling business ability, is very unassuming and notably popular with all. He was married in 1877 to Miss Mary Devinney. Himself and wife are members of the Catholic Church. Source Citation: Year: 1850; Census Place: Kentucky, Meade, Kentucky; Roll: M432_213; Page: 210A; Image: 87.